4 bedroom, 2 bathroom villa in the Lindfields community. Owned by Debbie & Michael O'Toole. Ref: 173. Very spacious (2157sq.ft) 4 bedroom single storey home, furnished to a high comfortable standard throughout. 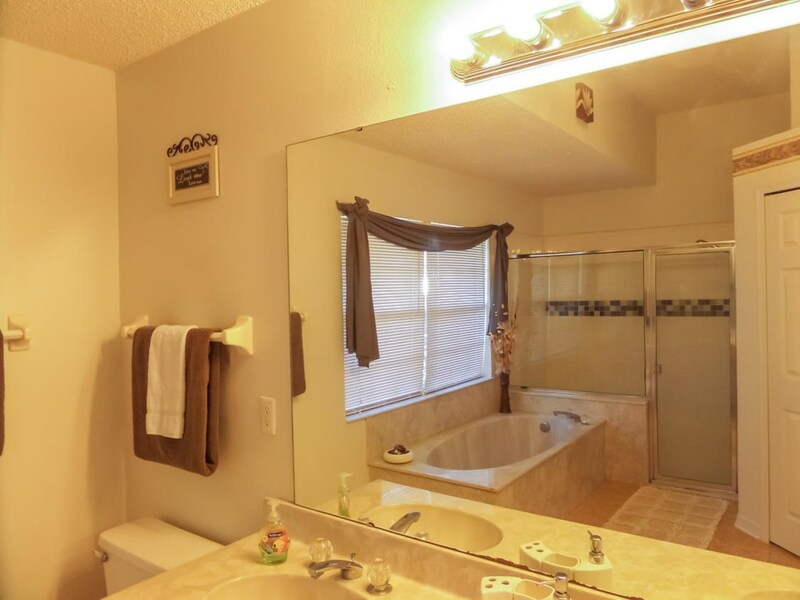 Large south facing pool, with underwater lighting for a night swim after a hard day at the parks, fully fenced garden for added privacy. 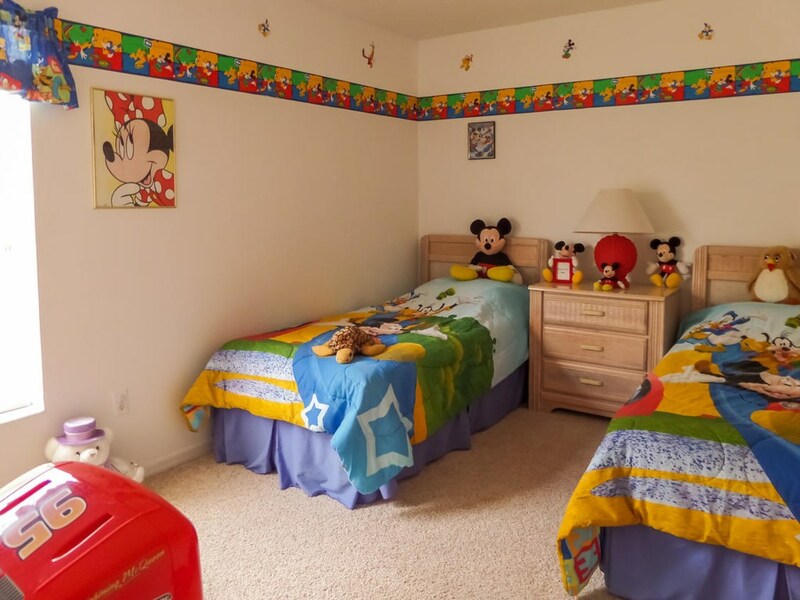 Mickey & Minnie themed bedroom with toys and books. T.V.s in bedrooms. We have hi-speed wireless internet connection, Games Room with pool table, air hockey, football table and darts. There are 4 loungers and 2 patio tables with eight chairs and a parasol on our deck, there also a table and 4 chairs out in the garden area and a gas bbq. There are numerous inflatables for the kids. 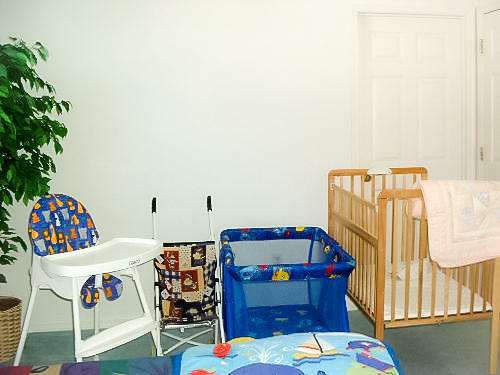 For our young guests we have a pushchair, cot, high chair, carrier and a playpen. Two lounge areas with comfortable sofa's, Large 55" smart tv with video/dvd player with a choice of video's and dvd's. We also have a music system with variety of cds. A Dining area to seat six overlooks the pool for more formal dining or a dining nook to seat 4 is available in the fully equipped kitchen area. Separate utility room with washing machine, tumble dryer & ironing facilities. 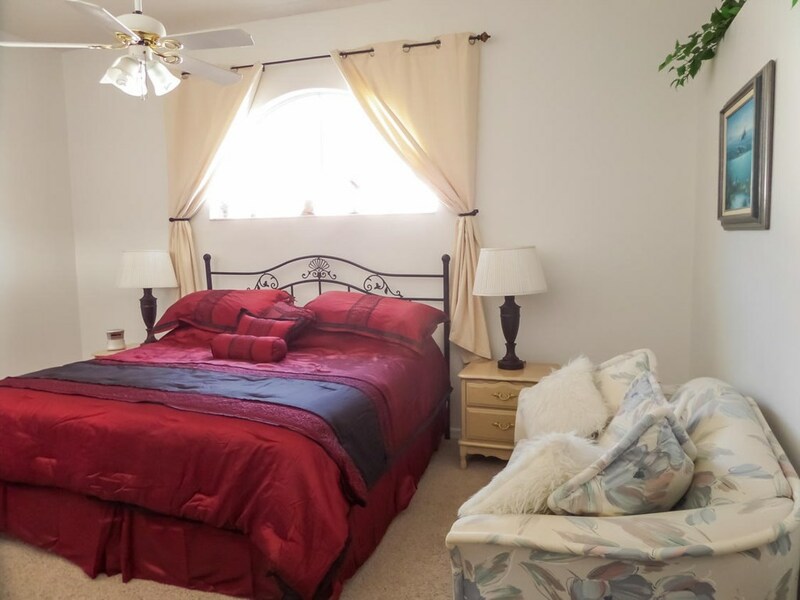 The master bedroom is situated at the front of the house, it has a Luxury King size bed, 42 "tv with cable, & a dvd player. There is the added benefit of a ceiling fan in this room. The en-suite bathroom has twin vanity units, walk-in shower and large marble bath tub. 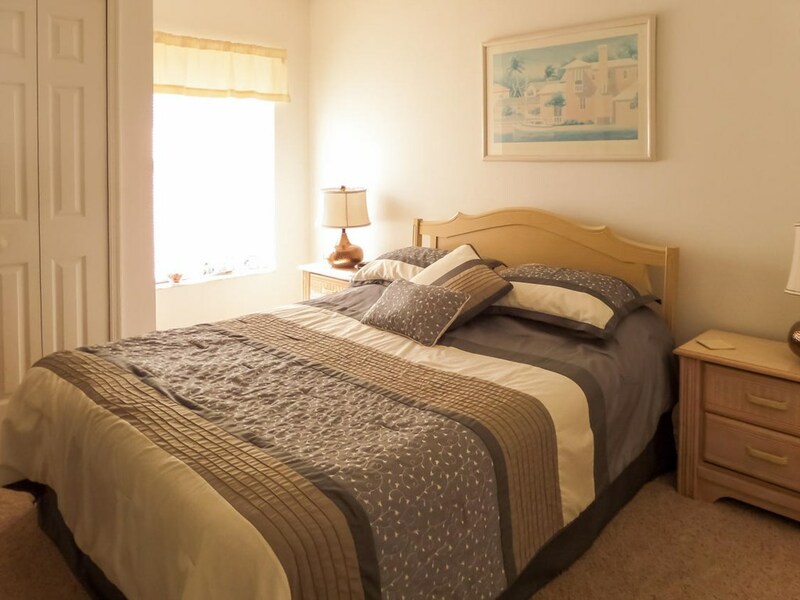 Bedroom 2 has a queen size bed, fitted wardrobes, bedside tables, flat screen T.V. & again the added benefit of a ceiling fan. Bedrooms 3 & 4 both have twin beds. Bedroom 3 is for the sporty fans, Bedroom 4 is decorated for the Disney fans with various toys and books. It has a Disney Cars TV/DVD player. Our 2nd bathroom is situated at the rear of the house between bedrooms 2,3 & 4 and has direct access out to the pool. Our large pool is south facing so ensures the sun from dawn till dusk, it has underwater lighting, ideal after a long day at the parks, and can be heated during the winter months. Our pool deck is fully screened (to keep out the bugs) but not the rays, and is equipped with 4 sun-loungers a dining table and chairs to seat 8. We have a further table and 4 chairs & a bbq for your use outside the deck. The garden also has the advantage of being fully fenced for added privacy. 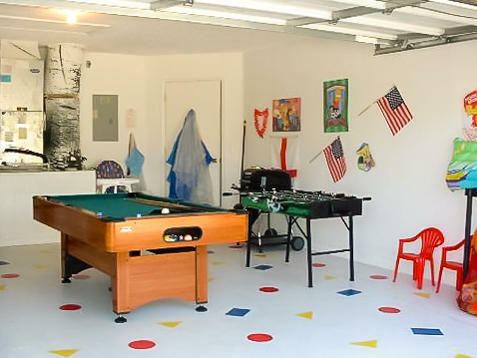 Our garage has been converted to a games room with air hockey, table football, safety darts and a pool table, and is fitted with a ceiling fan. Positive just back from using this accomodation and wanted to straight away recommend it to others. 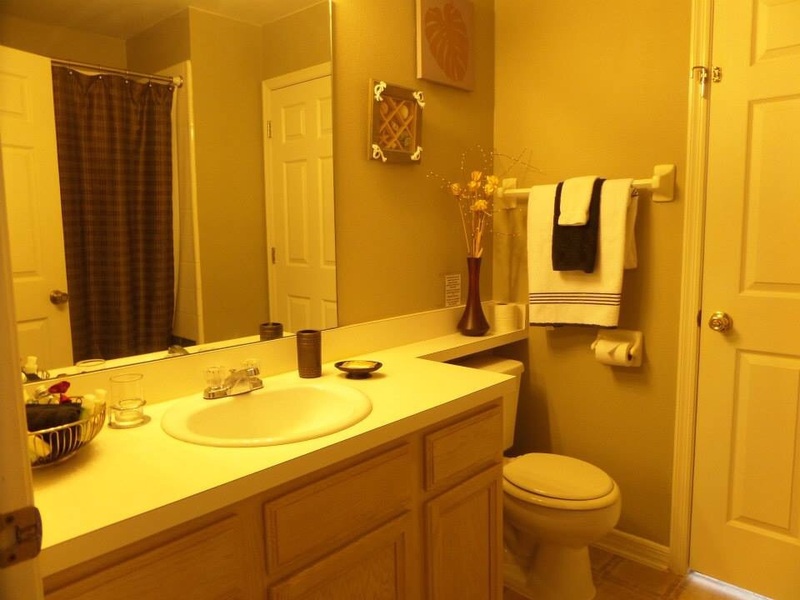 Great location, outstanding extras, very homely and relaxing. Have already passed on details to family and friends. Definitely value for money. Positive Had 2 fabulous weeks staying in a wonderful villa. Has everything you need for either a quiet break relaxing round the pool or a mad time going to the parks as only 5 mins from disney ! We all had a great time and would definatley use this villa again. Positive Fantastic holiday of a lifetime. Villa was superb - huge!! Two families stayed there-4 adults & 4 kids and there was plenty of room for all of us. Pool was great, we couldn't get the kids out. Thanks very much to Debbie & Mick for keeping such high standards. Positive The Villa exceeded all expectations, clean & homely with excellent facilities. The pool and games room were a massive hit with everyone. This was our 2nd visit to Florida and we spent more time relaxing beside the pool in the villa allowing us to recharge our batteries for another day at the theme parks. The location of the Villa is good and we made use of the short cut suggestions in the guest book. We were a bit apprehensive at first booking a villa over the internet, however, Debbie O'Toole was extremely helpful and we have no hesitation in recommending this villa to our friends and families. 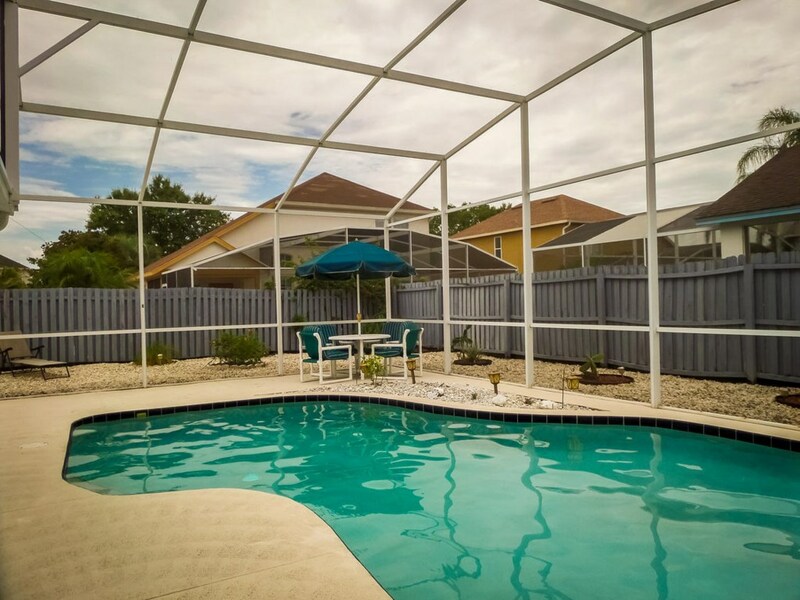 Positive The whole family including the grandparents all loved the Villa and especially the south facing pool.Located in a very quiet residential neighbourhood but also very near the disney parks and short cut along funnel street made it even shorter.Would recommend 10/10. Thanks Debbie. Positive This is our 2nd visit to Florida and this villa and area are a wonderful place to stay - so convenient, quiet and clean. The villa is a must for families with a pool, 4 bedrooms and a games room! We avoided the theme parks on this visit as we were determined to have a relaxing break - The villa delivered this without exception. Positive The home was wonderful. Very nice with all the little extras. Nice quiet area with no noise. It was really a wonderful place to have our vacation. Near all parks and shopping. Would definitely recommend it to everyone. Positive We have stayed in this villa a couple of times now and it really is the best way to enjoy Florida. The garage has now been converted into a games room with Air hockey and Pool. 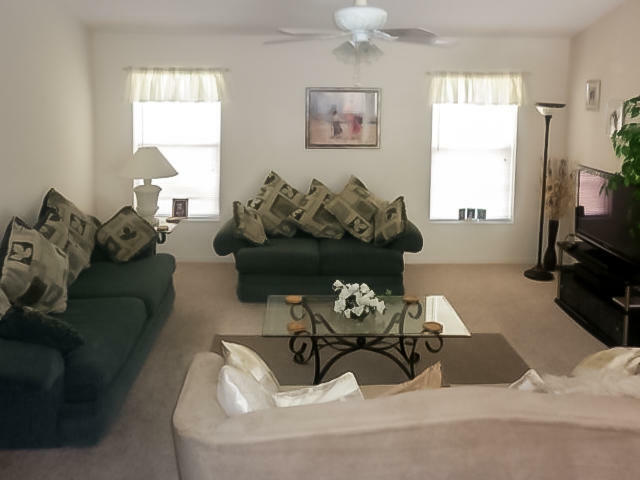 The location is great, only 10 minutes to Disney (there is a great back-route) and only 5 minutes to Publix. Outback Steakhouse is down the road and this is well worth a visit. I can thoroughly recommend this Villa. We've already booked our Christmas Vacation there! Positive 6 Adults, 2 Children stayed in April 09. Villa was roomy, well furnished and immaculate, kids loved the Pool and Games room, location Ideal. Debbie proved extremely helpful and organised the cars which again were great. Positive We visited in mid-June 2009,along with friends from TX. We had 4 adults, and 4 children who ranged in age from 16 months to 8 years. It was wonderful to have the space to spread out and not be crowded into a hotel room for 10 days. 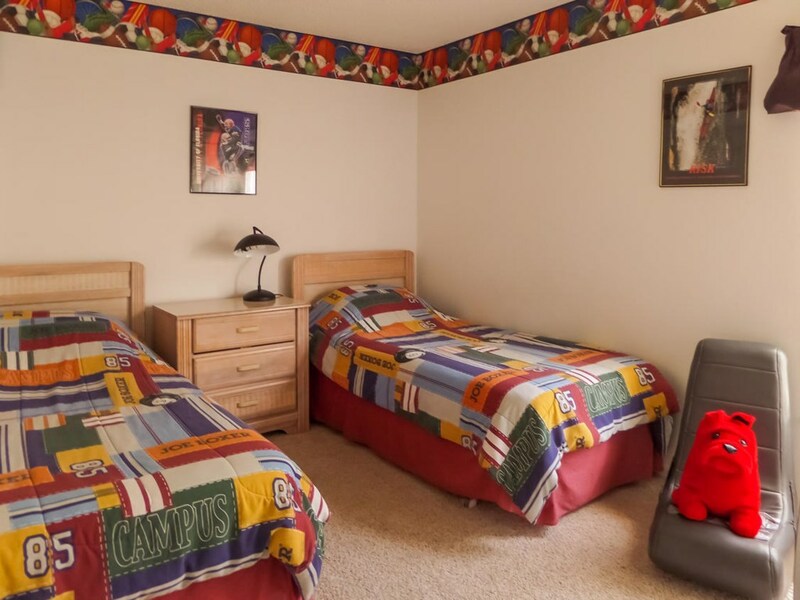 We took full advantage of our accomdations, we had breakfast at home, grilled supper, swam, played in the game room, and loved relaxing in front of the TV after a long day in the parks. We found Disney to be about a 15-20 minute ride, esp. if you used Funde Steed east as a short cut, Walmart was about 10 minutes to the west on 192 and 27, and there were a couple of decent places to eat that were within 10 minutes of the house. We were all a bit nervous about renting a villa via the internet from someone in another country, but we would do it all again! Debbie and Mick were easy to deal with and answered all of our concerns. My brother also had a home, which he rented from one of Debbie's friends, and they were very pleased! Sure beats a hotel room! A great time was had by everyone and I'm sure we will all be back again the future! Positive Suberb villa! Well-located for Disney but also quiet neighbourhood. Pool and games room a bonus, well enjoyed by all members of our party. Spacious and comfortable. Would definitely recommend this villa to friends and would like to visit again. The guest books in the villa were worth reading for helpful time-saving tips for the area and parks. Could not fault one thing and tempted to buy a villa ourselves! Well done Debbie and Mick for maintaining a lovely home. Positive Our stay at this villa was great. Although we hesitated to book a villa through the Internet it was more then we expected. 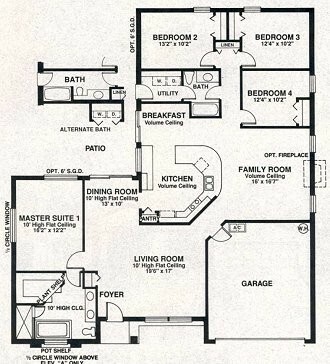 The bedrooms, living room, the game room and the pool, all excellent. The Villa was fully equipped and very convenient and with warm atmosphere. The neighborhood was really nice as well and the location very close to Disney was great. Debbie helped us a lot when booking, and was very nice (even though we bothered her a lot). We strongly recommend this villa. Positive Had a fantastic 17 days at Mickey's Retreat with our 3 children and grandparents. The villa has a great location with the cut through to the Disney parks enabling you to get there in 15 mins. The villa and pool were wonderful and the kids were never out of the water. They have already started saving in their piggy banks to go back! 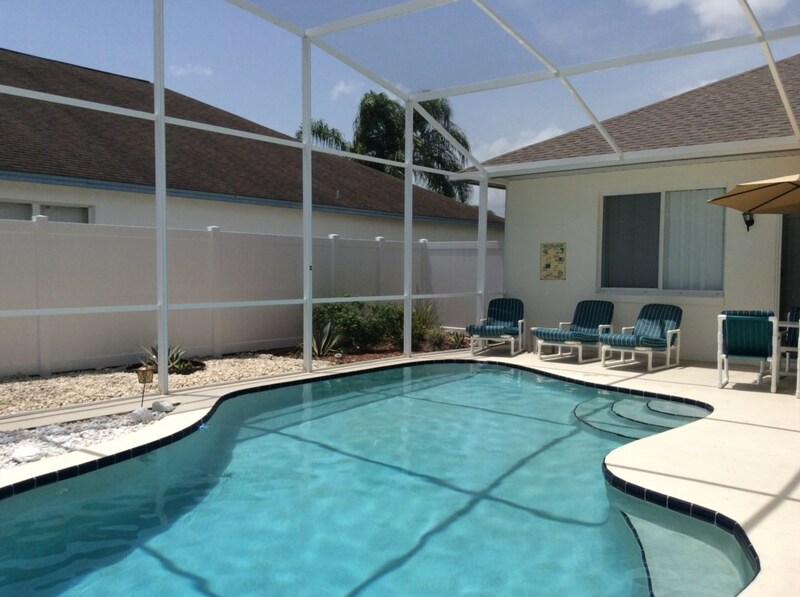 Positive This was our family's first trip to Florida and renting this home was the best decision we made. Debbie's home is absolutely wonderful, and could accommidate more than our family of six. 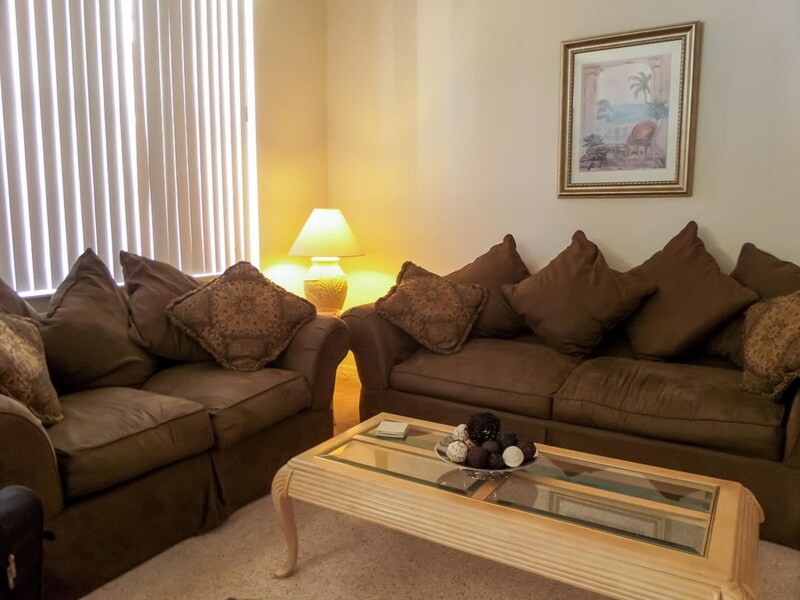 Located in a quiet neighborhood and within 10 minutes to Disney you couldn't ask for a better place to stay. Debbie, thanks for everything, we will definately be back. Positive A great villa with everything you could need in a very handy location (especially easy access to Disney). The family really enjoyed the space and facilities in the villa and had loads of fun in the pool. Debbie was extremely helpful and patient with arrangements and advice and the local representative was also friendly and helpful. Positive what a wonderful home from home villa. All the mod cons of home plus more. Positive Just spent a week in Debbie's house in Florida.Never booked a holiday this way before but everything was made so easy for me.The house was great and so nice to have your own pool.A quiet location but close enough to all of the parks.Tempted to claim squatters rights! 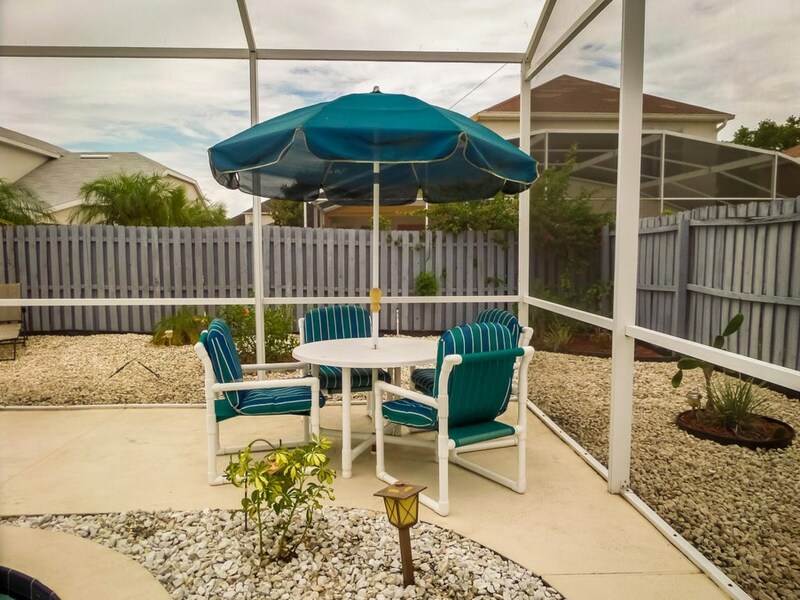 Positive We have booked private villas in Florida on occasions before via a travel agent, but I have never rented direct from an owner - but this is the way I will book from now. From start to finish the first class personal attention has been great. It is a great relief to have someone on the end of a phone or e-mail and be able to speak to them and they actually care about where you will be staying and that you are happy with the arrangements - because at the end of the day it is their home! Also I would like to add that the management company are also first class organisation. Who made us feel very welcome even on the day of arrival by telephoning to make sure that we had arrived!! I would definitely recommend booking direct with an owner. Positive Lovely Villa, Had a brilliant holiday and would recommend this villa for any family. Debbie was very helpful and prompt with all correspondance. Thank You. Positive This was the first time renting a home from a complete stranger, so I was a little hesitant. However, Debbie (the owner) was very patient dealing with all my questions before our vacation, and when we finally arrived, my apprehensions instantly disappeared. The villa was very accommodating for my family of 8, and it had everything we needed - it was also great having our own private heated pool. We were in a safe, quiet neighborhood less than 10 minutes from WDW. I would definitely do this again in the future, and encourage anyone interested to pursue it. We often have last minute specials available. Please call or email for further details. 19 Jun 2019 to 11 Jul 2019 - use the form below to enquire about these dates. Your enquiry will be sent to villa ref 173 only. This page has been viewed 78580 times since 05 Mar 2002.